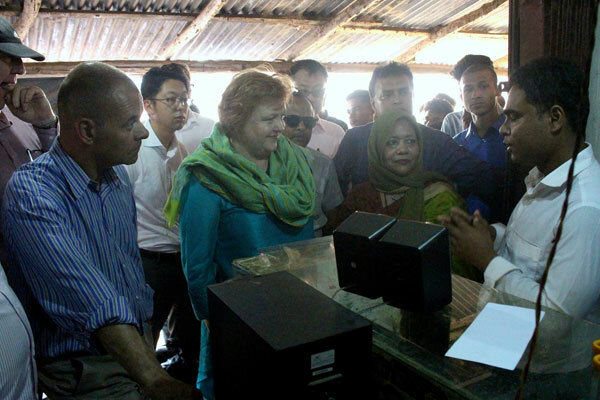 Her Excellency Ms. Julia Niblett, Australian High Commissioner to Bangladesh; Mr. Paul Foley, Board Member, Australia’s Ambassador for Counter-Terrorism and high level officials from Global Community Engagement and Resilience Fund (GCERF) have visited PVE activities of YPSA CEVEC Consortium funded by GCERF, in Varuakhali union, Cox’s Bazar, Bangladesh on 21st March 2019. 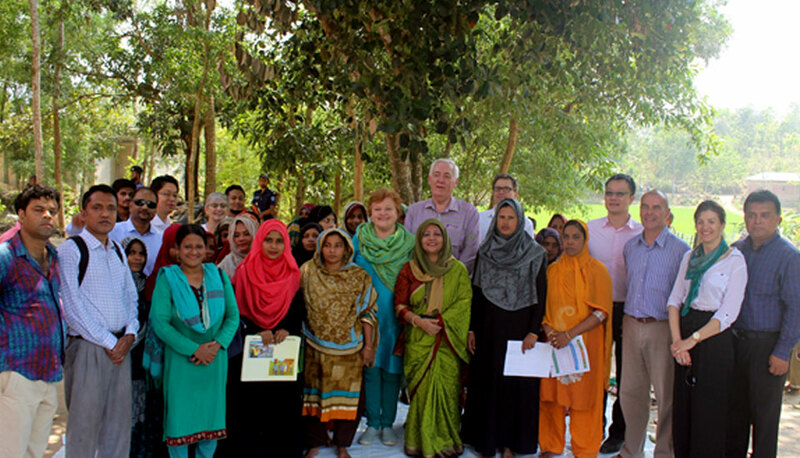 Australian High Commissioner, Board Member and GCERF team visited Community Engagement program and talked to the participants. Chief Executive of YPSA Mr. Md. 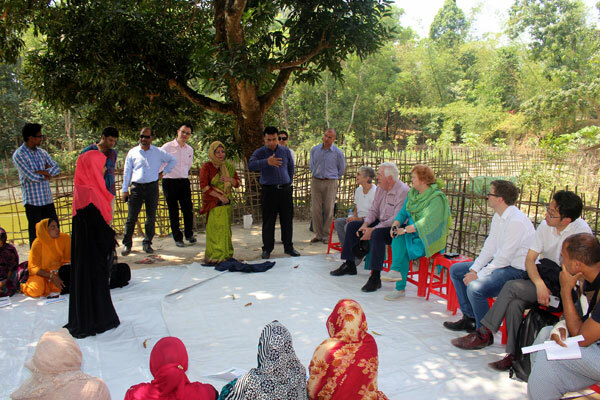 Arifur Rahman; Deputy Director of YPSA and CEVEC Focal Person Mr. Mohammad Shahjahan; Deputy Director of YPSA and CEVEC Team Leader Mrs. Khaleda Begum; CEVEC Project Coordinator (Campaign and Partner) Mr. Mohammad Shahidull Islam; CEVEC Project Coordinator (Training) Mr. Rajat Barua; CEVEC MIS & Documentation Officer Bana Ratna Tanchangya; Project Manager Mr. Mohammed Harun were also present during the visit. After that they visited a computer shop of trained youth, one of the beneficiaries of YPSA CEVEC Consortium’s GCERF supported activities such as life skills, leadership and vocational skills training and have received capital to invest in their livelihood activities for preventing violent extremism. They discuss with the youth who have started his business. 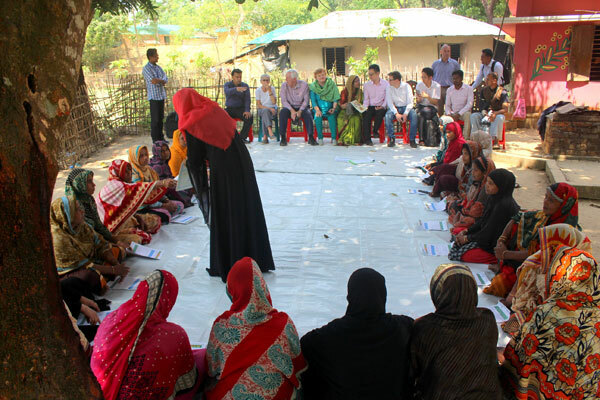 They also attended at a Courtyard Meeting with the participation of women. 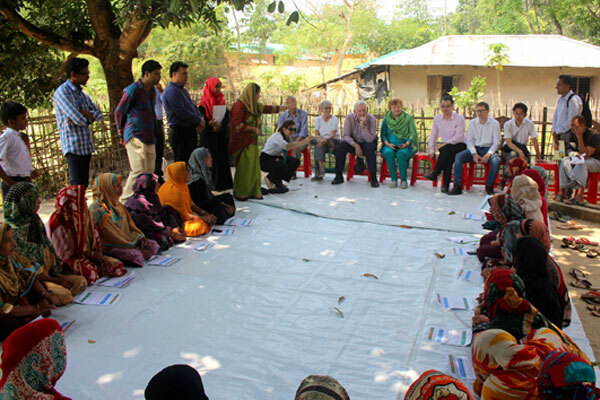 They discussed with the program facilitator and the participants about their role on PVE in their family and society. After the Courtyard Meeting they talked with a youth group member who has received support to buy a goat. The visitors also saw the mother goat with three yearlings. At the end of the visit the visitors discussed with YPSA senior staffs and shared their experiences. 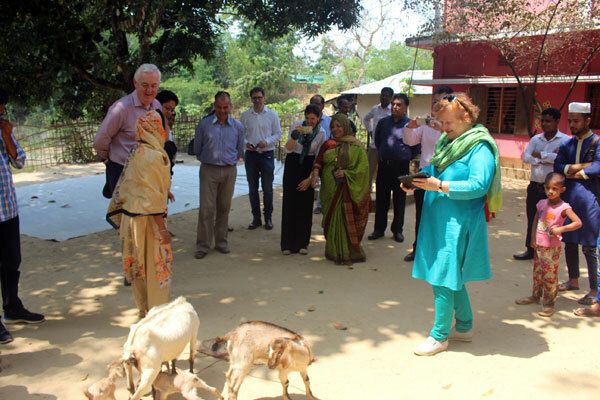 They are very much appreciated the activities and very excited after seeing the CEVEC’s activities at the remote village of Cox’s Bazar. They acknowledged the hard work of YPSA staff.